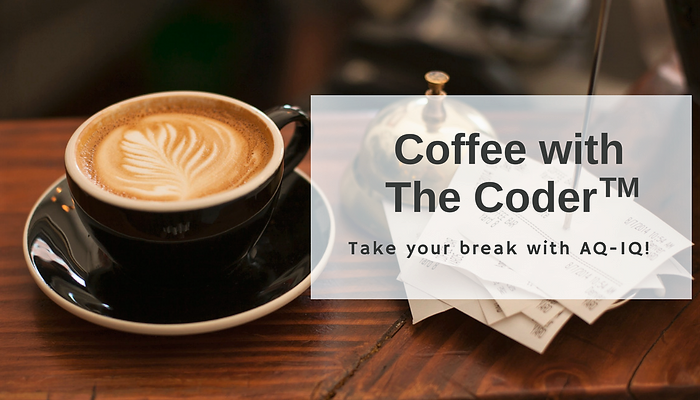 The next episode of Coffee with the Coder® is scheduled for Monday morning, May 6th at 10:10am Eastern (7:10am Pacific). Post your “mug shot” to social media with #CWTC and share – we’re building an “Insiders” page for you. If you’d like to be reminded to dial in, email CWTC and your text number to: help@aq-iq.com. We’ll remind you during the 60 minutes prior to the start. CWTC [Episode 59] Left Heart Cath with, Rotator Cuff Disorder, and Can We Bill This Code? Provide as much detail as possible.